Ryamar is all about crafting. 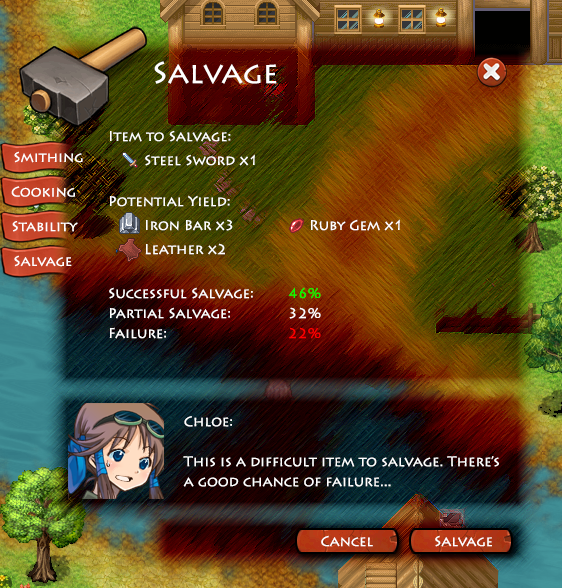 You won’t receive equipment drops like in most games these days. 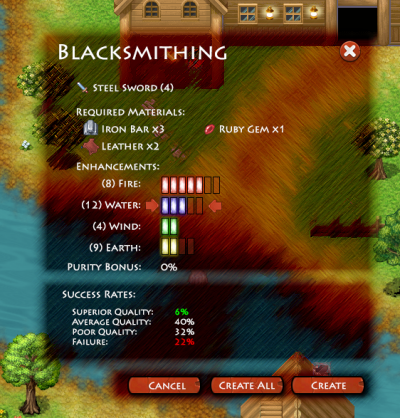 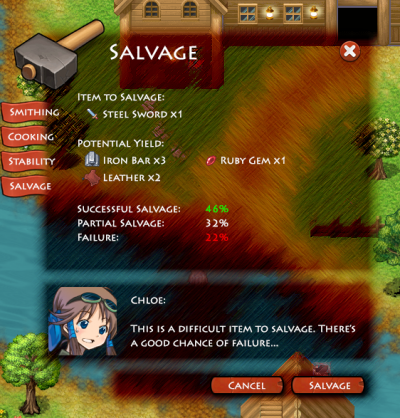 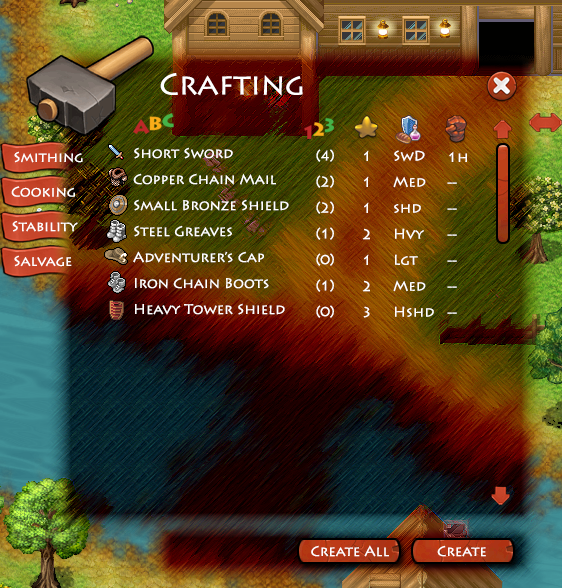 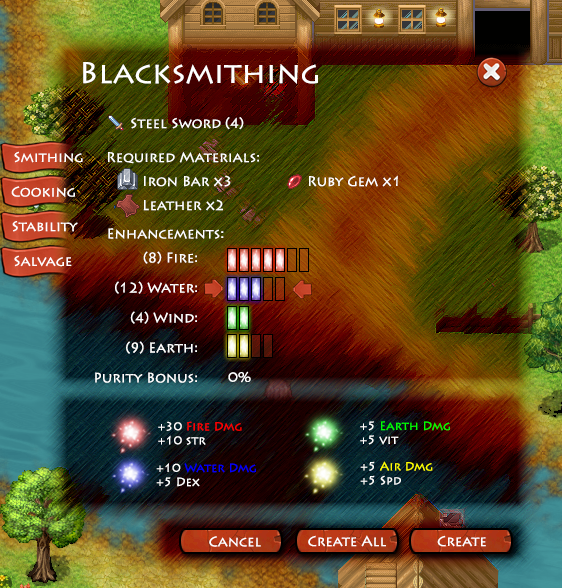 Instead you’ll receive various crafting materials, either by defeating enemies or harvesting raw materials. As such, I’ve dreamed up a pretty extensive crafting system, involving the concept of elemental infusion. 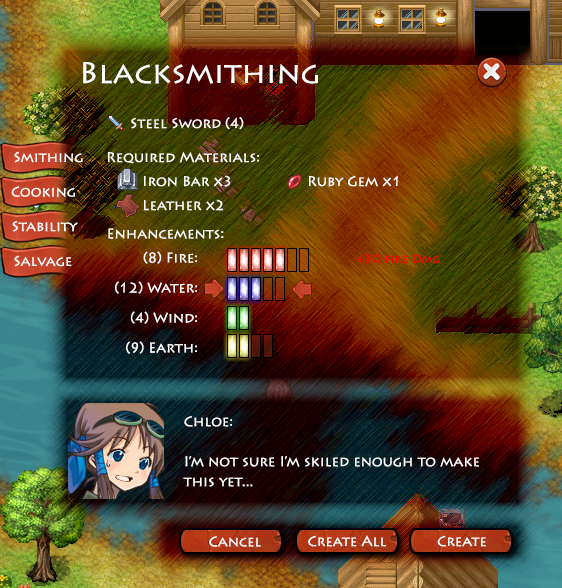 None of this is really finalized yet, and I’m still working out all of the kinks, but I’ve completed some rough draft interface screens. I’m currently planning on breaking the game up into chapters, so that I can release it in small portions and not all at once. 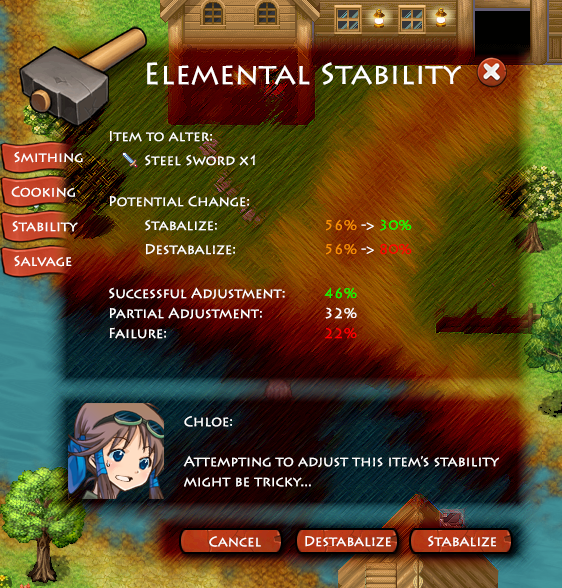 Because of all the possibilities and potential complexity revolving around the crafting system, elemental infusion may or may not be included in the first chapter.